I’ll give you 3:1 that AAC only gets two bids. 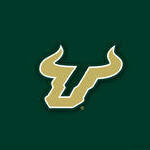 As I said, I never bet straight $ for myself if USF is potential involved...although those odds are greater than 3 to 1. But that being said, let’s bet 3 to 1 that the AAC gets only 2 bids with the $ going to TBP for the work Brad does. If I lose I’ll pay $25 into the board and if I am correct (with only 2 bids)you put $75 into the board. Not a lot of $ but with kids in college...well you know the deal. This way I also won’t feel bad betting against USF as the board will benefit. When do we start talking about a contract extension? Harness good, block bad. Feel the flow. Circular. UCF basketball is like that giant turd that swirls the drain for a while before getting wedged in the pipe. Sure, we may not make the tournament either, but we can definitely be the plunger. Dropped to 73 today. The NET is a real roller coaster. A win tonight would be huge. Location: In the shadows. Always in the shadows. We are already in our exclusive negotiations period. It ends on 2 March 2019. Jay Bilas has us in his Top 68, Tier 5 - "Scratching for at-large berths"
Hats off to Brian Gregory for leading USF to its first winning season since 2011-12. If the Bulls are going to take the next step, they'll need to fix a turnover percentage (23.3) and free throw percentage (63.6 percent) that are near the bottom nationally.